We've added new semis and renamed our Semi-Private Fundamentals to Level I since so many of our students are advancing. 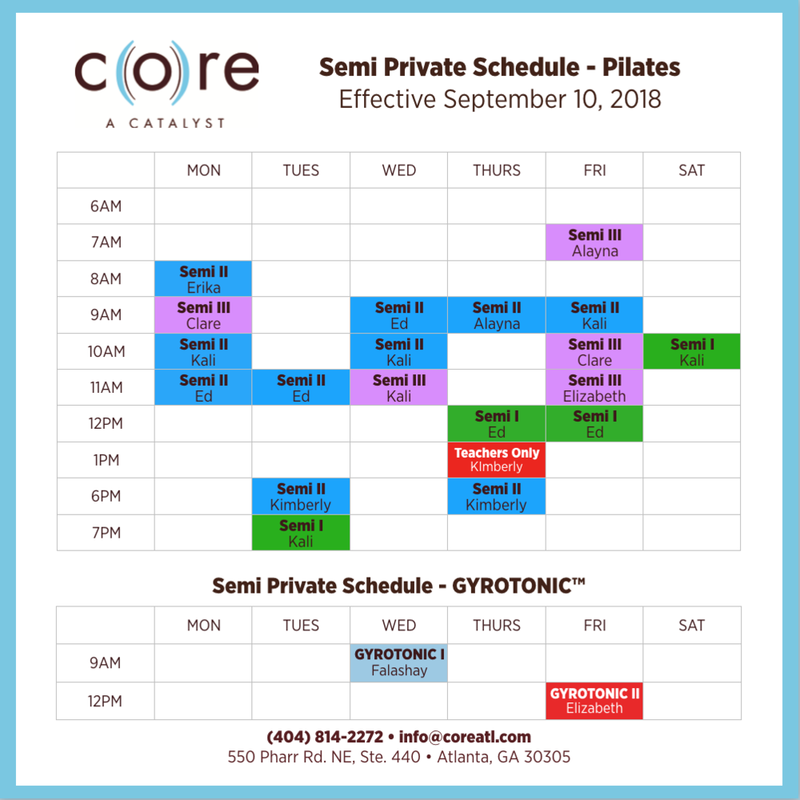 We also have NEW Gyrotonic Level I semis on Wednesdays at 9AM and Thursdays at 12PM. Book your spots online or call us to reserve your spot!